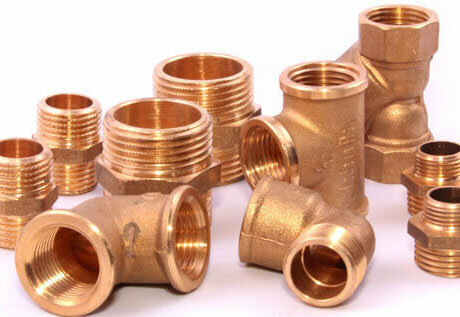 Copper Pipe Fittings Is One Of The Most Popular Used Tools Which Is Used In Plumbing Industry. There Are Various Copper Pipe Fitting Methods Which Are Being Used In The Industry. But, You Might Not Have Information About All Of Them. Using Copper Tube Fittings Is Very Important To Protect The Building From Leakage Problems. Connecting These Metal Pipes Is Not An Easy Task There Are Various Tools And Instruments Which Can Be Used For This. We Export & Supply Copper Pipe Fittings & Tube Fittings To USA, UK, UAE, Europe, Saudi Arabia, Jordan, Spain, Germany, Australia, Abu Dhabi, Kuwait, Oman, Etc. When You Are Setting Up A Plumbing System In Your House, You Need Points Where The Pipes Will Cross Each Other. For Those Points, It Is Better To Connect Them Using Copper Cross Fittings System. This Type Of Joints Helps You To Prevent The Overlaping Of Pipes And Get Them Connected Easily. In This, You Will Have One Inlet And Three Outlet Section Or Vice A Versa. Copper Cross Fittings Is Not Common In Plumbing Area But They Are In Fire Sprinkler Systems. Using Copper Press Fittings Is The Method Of Connecting Pipes By Applying The Pressure. There Are Various Benefits Of Using This Method. Connections In The Copper Press Fittings Is Secure. Copper Flare Fittings Is Quite A Common Method But It Should Not Be Confused With Compression Connectors, With Which It Is Not Interchangeable. This Method Is Labor Intensive But You Have To Understand That The Final Result Will Be Durable And Reliable. Copper Flare Fittings Is Considered To Be A Secure Method Which Is The Reason It Is Used In Hydraulic Brake Systems As Well As Other High Pressure And High-Reliability Applications. The Copper Pipe Compression Fittings Method Is Used To Connect The Pipes Which Are Rigid And Flexible Copper Pipes. This Method Is Commonly Used For The Water Shutoff Valve, This Type Is Usually Used On The Faucet And Toilet Water Supply Pipes. Copper Compression Fittings Method Provides An Easy To Install Alternative To The Traditional Method Making It Leak Free Installation. The Copper MIP Fittings Is Also Known As The Male Iron Pipe Fittings. In This, You Will Be Using The Threads To Close The Pipes. In This, You Have To Understand That You Cannot Mix The Thread Of MIP Fittings. As This Mistake Will Make The Whole Process Fruitless And You Will Not Be Able To Work The Compression Caps. Copper Tee Fittings Is The Joint Which Is In T-Shape. It Is A Three-Way Joint In Which One Pipe Will Be Inlet One And The Other Two Will Be An Outlet, This Can Go Another Way Around As Well. It Is The Most Common Fitting Method You Will See While Plumbing Is Going On. For This, You Have To Use A Female Thread Sockets. Copper Tee Fittings Can Be Used To Connect The Pipe Of Different Diameters As Well. The Use Of Unequal Tee For The Connection Is Quite Common. A Copper Union Fitting allows you to connect the convenient future disconnection of pipes which can be easily maintained or be replaced. This fitting allows you to connect easy connection or disconnection of the pipes for the multiple times if needed. There are three parts: a nut, a female end, and male end. When you connect the male and the female part you can seal the joint using the nut tightly by pressing the two ends together. Drain-Waste-Vent Copper Fittings(DWV Copper Fittings) Is Used To Operate At Low Pressure And Mainly Rely On The Gravitational Pressure To Move The Fluids. In This, You Will Be Connecting The Pipes With No Sharp Edges As This Can Create A Problem Of Getting The Solid Material Clogged In Those Areas And Blocking The Whole Pipe Or System. The Internal Smoothness Of The Pipes Makes It Easier To “Snake Out” The Clogged Pipe If There Is Any Problem With The Help Of The Plumber’s Snake. 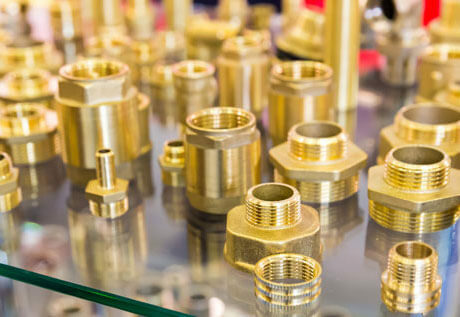 A Copper Slip Coupling Fittings Is A Method Which Is Sometimes Called Repair Coupling. It Is A Way Of Connecting The Pipe Without Internal Stop Which Will Allow It To Slip Into The Tight Locations. Some Of The Examples Where It Can Be Used Are The Places Of The Corrosion Or Freeze Bursting. When This Method Is Used It Is Up To The Installer To Measure The Location Correctly And Install The Slip Coupling. When You Are Doing The Plumbing There Is A Need For Tools For Different Conditions Accordingly. Copper U Fittings Is One Of Those Instances. It Is A U-Shaped Pipe Which Is Used To Connect The Pipes As Per Requirements. The Use Of Copper U Fittings Is Done To Make Plumbing Look More Desirable.